Artist in Residence for the day, Susan demonstrated and explained her successful techniques for children's art projects, with examples of children's artwork on display in the Fine Art Library. Exhibition visitors met artist Susan Dalgleish and had an opportunity to participate with an art project. 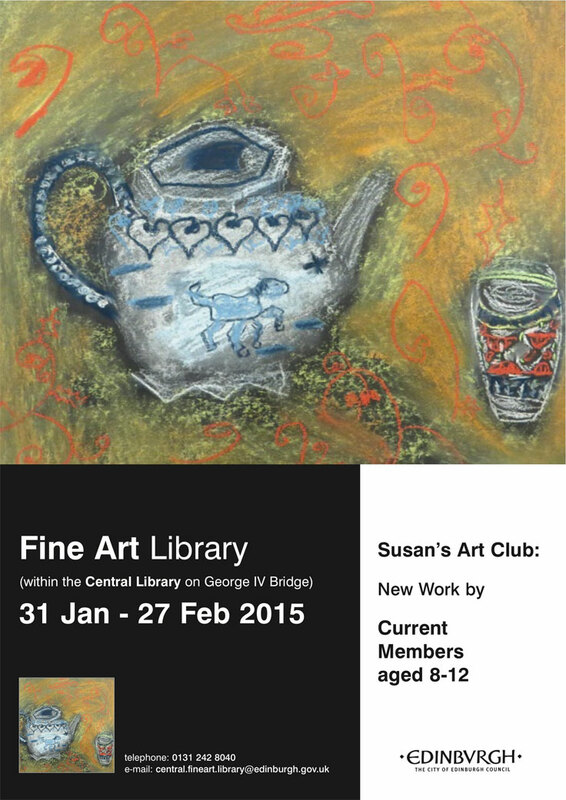 This one-day event accompanied the continuing exhibition of art work by children aged 8-12 attending Susan's Art Club.